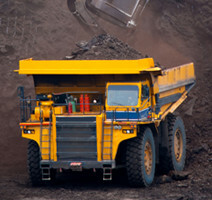 Avoiding collisions and monitoring the location of personnel is one of the fastest growing solutions in demand for Mining, Forestry and Industrial sectors. Safety and efficiency is always at the forefront of management when implementing a new system. With PBE’s PAS system & Minetracker Software we can offer you the ability to determine the location of equipment, vehicles and personnel by the detection of RFID tags worn by workers and placed on mobile equipment. The stationary and portable tag readers (wired or wireless) are available for transmitting data over either the leaky feeder communication of or over existing Infrastructure without the need to install a new backbone. There is also a wireless version of the Tracking system which is approved for hazardous atmospheres when operating on back-up battery. Tracking information can be displayed, monitored and controlled using MineBoss 2.0.